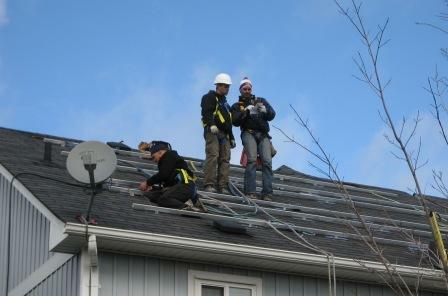 Curious about how to install solar panels? 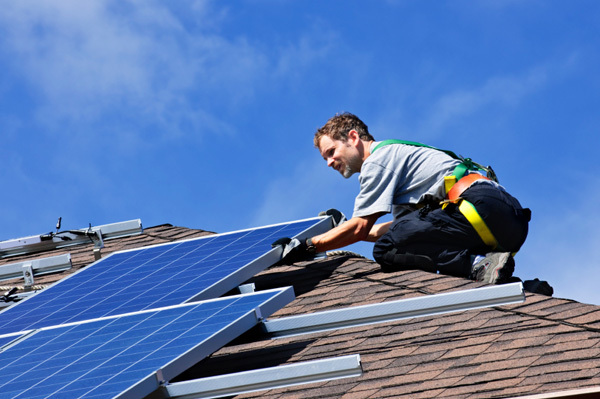 If you’re wondering what happens when a solar installer comes to your home, or how you might go about DIY solar energy for yourself, read on. Home solar systems are relatively easy to install. That is, if you’re trained how to do it. If you have all the components and know how to install the system, you’re only about 30% there. One of the most difficult aspect of installing panels is knowing sizing the system properly. You see, the solar inverter (which converts solar DC current to usable AC current) can only handle a specific number of panels. Knowing how this all works together, as well as accommodating for available space and potential upgrades, is the heart of solar installation. All the necessary materials for the installation is gathered, such as solar panel mounts, stud finder, chalk lines, lag bots, drill, metal rails and flashing, stainless steel bolts, converter and solar panel conduit. 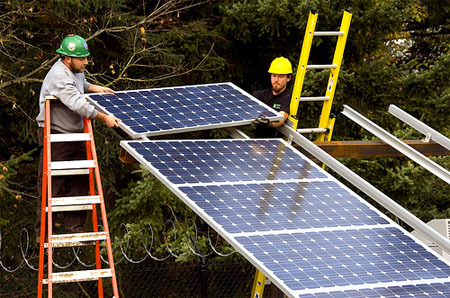 Solar panels are mounted on a railing, which is bolted into solid parts of your roof. It’s necessary to find (and drill holes in) the right part of the roof to be successful at this. This is done by finding the rafters of the roof using a stud finder. This will help prevent the rafters from splitting. Then, holes are fully drilled and mounts are secured to the top of the roof using lag bolts. This will place metal flashing over the mounts in order to prevent roof leakage (obviously important). With the use of 3/8 inch stainless steel bolts, the metal rails are secured to the posts. Once the panels are on the rails they are connected together through a junction box opening at the back of every panel. Panels are typically strung together like Christmas lights (see solar panels in series). This is the part the requires an electrician’s license to do properly. The wires from the last solar panel head off to the solar inverter, and then run through a conduit to the box in your house. Ok, so maybe it’s not that easy to install solar panels! The complications of system sizing and electrical wiring make hiring a professional a sensible approach for most people.